Please describe the medical treatement you wish to receive in Turkey, such as hair transplant, laser eye surgery, dental treatement etc..
We'll communicate your inquiry to our network of trusted Turkish clinics, soon you'll be receiving price quotes directly from each clinic including detailed description of the services offered. Hair transplant clinics in Turkey are offering all-inclusive packages for their patients. This allows patients to have hair transplantation and hair loss treatment in Turkey for a fixed price with no additional costs. 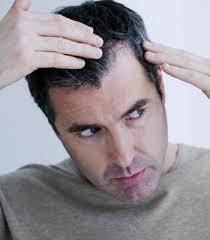 Besides hair transplantation do Turkish clinics also offer beard transplantation or eyebrow transplantation treatments. Dental implants, Dental crowns and Dental bridges and laser teeth whitening are the most common operations that take place at Turkish dentists. 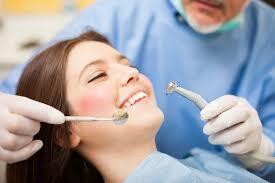 Each year millions of foreign visitors combine their holidays in Turkey with a dental treatment in Turkey. Reasons for choosing Turkey for the dental treatment is not only due to low cost but also due to high level of quality and personalized treatment. The high standards in medical treatment in Turkey with experienced cataract and Lasik specialists in specialized eye hospitals in Turkey are attracting many foreign medical tourist who need a cataract surgery and vision correction. LASIK laser eye surgery is the most applied surgery in Turkish eye clinics and hospitals, followed by cataract surgery. The eye clinics in Istanbul, izmir, Antalya are offering complete medical treatment packages including transfer and accommodation. Turkey has been an increasingly popular destination for receiving health services which are cost effective and high quality. Dental implantation, hair transplant, laser eye and plastic surgery are the most popular medical treatments. Especially following the recent devaluation of Turkish Lira, medical treatment in Turkey has become even more attractive for foreign visitors.